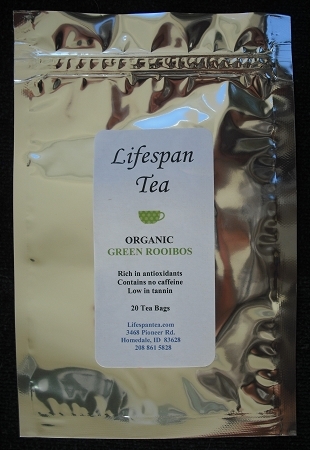 Green Rooibos Tea is made by stopping the natural fermentation and oxidation process. After the leaves and stems are cut, they are withered and immediately steamed or heated to stop oxidation, then rolled and dried. The resulting tea is a delicate, aromatic tea with a heartier herbal taste. It is lighter in color than traditional red bush tea. English tea drinkers tell us it tastes the most like traditional green tea. Rooibos is the only tisane tea that readily accepts cream or milk - just like the traditional tea you're used to. Tests have shown Green Rooibos Tea is up to two times richer in flavonoids and antioxidants than Red Rooibos.